This course will examine the issues related to understanding oppositional and defiant children in the school environment. It will review some of the common approaches that are used and explore other methods of working with these students. Daily classroom management and removal of disruptive students are outlined. Providing social services at school and working with parents are also explained. Behavior modification and developing a positive environment are also reviewed. Educators will learn about the various characteristics of oppositional children and how having a better understanding of their disposition will assist teachers. 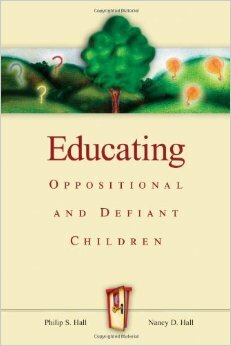 Teachers will review the historical philosophy and commonly used approaches to oppositional children and why they often fail along with alternative solutions. Learners will explore the classroom environments impact on student behavior and how a variety of modifications can reduce conflict and enhance learning.